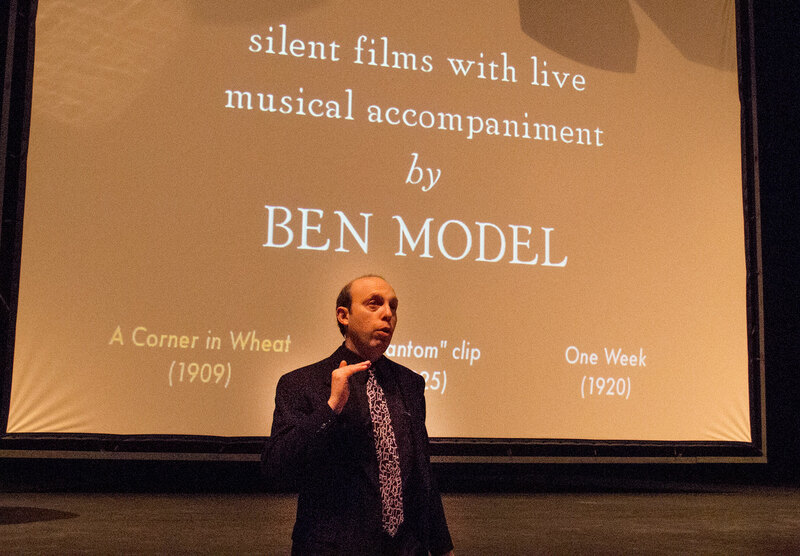 In addition to his work as a silent film accompanist, Ben Model is a film historian and lecturer. He frequently introduces the programs he plays for, giving the audience insightful background history and context on the movies and their stars and directors, and often also holds a Q&A after the screening. In 2015 he was tapped to create and teach a course on silent film history for Wesleyan University’s Film Studies Department by its chairs, Jeanine Basinger and Scott Higgins, and is now offered annually to Wesleyan sophomores. Ben’s study of the way silent film actors and directors knew and utilized the fact that the films they were shooting were being projected faster in cinemas has opened a whole new understanding of the genre. This lecture has been presented at the Library of Congress, MoMA, the Toronto Silent Film Festival, and was turned into a video extra by Criterion for its Blu-Ray release of Charlie Chaplin’s The Kid. This talk and screening combo shows how the birth of home movies with the introduction of 16mm film in 1923 and 9.5mm in 1922 inadvertently saved hundreds of silent movies. Many silent films were released for rental in the 1920s and 1930s and only survive in these “accidentally preserved” 16mm copies. The program includes the screening of 4 rare films from Ben’s own collection, films that led to a successful DVD series. Kids of all ages actually enjoy silent films. Honest! Ben has been presenting programs at schools to kids from Kindergarten through high school for the past 2 decades and has found that young people are both entertained and educated by these 100-year-old comedies. They’re also ideal for bringing the silent film experience to college students, as well as to senior living communities. Kids love silent movies! See for yourself!